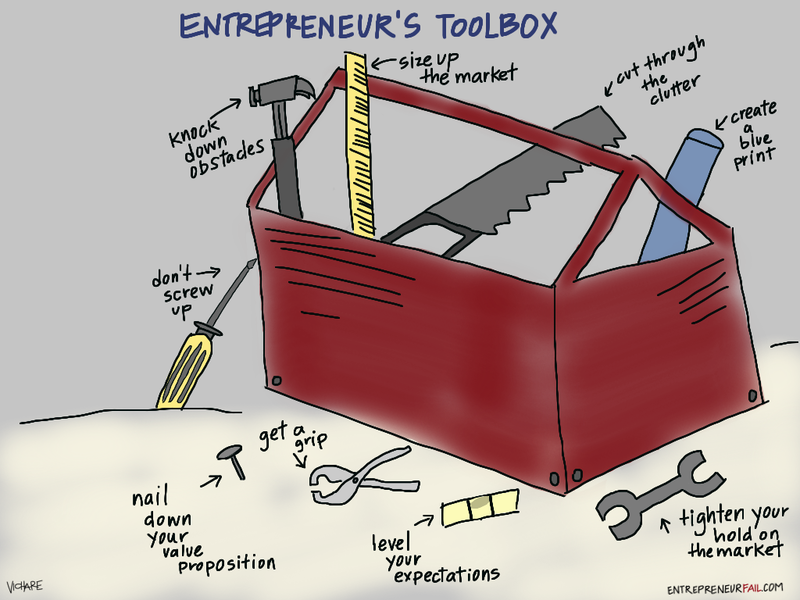 Attention budding entrepreneurs: How handy are you with tools? Are you ready to get down and dirty and fix what needs it? I hate to break it to you but you have to be ready. Starting a company requires you to have the tools to fix anything that's broken, coupled with the patience to make it happen. Just as I have a reliable toolkit at home, to fix the leaks, creaks and freaks at my house, an entrepreneur must be able to do that for their own venture. As Sir Richard Branson said: "Your decision will not always be the best decision. Everyone makes mistakes, but the best thing you can do in the face of a mistake is own up to it. Honesty isn’t just the best policy, it’s the only policy. When a mistake is made, don’t let it consume you. Uncover the problem and get to work on fixing it." So what are the components that should be in your toolkit? Did we miss anything in your toolkit? Do you have any special tools? Let us know below. The perfect glue - your TEAM! here are some of the great site where you will find some better thesis as they keep those thesis file decorated and you do not need to worry about it there on this site. Web has inconceivable tendencies. A man can demand and watch any sort of material through web. I besides use web to look through any sort of substance. With the assistance of this website headway we can support our burdens. Advancement is the base of improvement. Great blog entry, The essential concern which upgrades us far than wild creatures is information. This http://www.retype.biz/professional-typing-services/outsource-typing-services/ site gives us a commonality with other's wants for the general open around us and nature we live in. It incites us to return something better to our condition. An Entrepreneur is a very important person for updating business. In this site, we learn that the concept of Entrepreneur it gives the example in the form of pictures in this way we learned that the concept of Entrepreneur. We can complete explore more the thesis of the final year of projects.